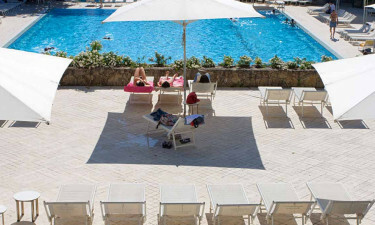 Billed as "an oasis to find tranquility", Parco delle Piscine is a luxury camping site not to be missed. This 4-star camping holiday is complimented by beautiful surroundings, an agreeable climate and a host of activities to enjoy. LUX-camp is more than happy to provide additional details upon request. Separate areas for young people. A choice of various luxury mobile homes. 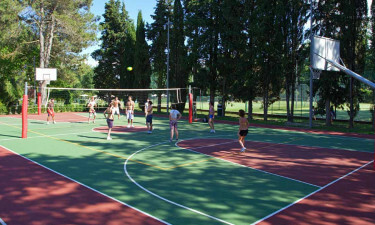 Parco delle Piscine provides its guests with a unrivalled sense of modern relaxation during their camping holiday. Its 15 hectares of land are equipped with standard wireless Internet, 64 private washing cubicles, facilities for changing infants and a laundrette for all clothing needs. These locations can be accessed by those who are handicapped and each mobile home is supplied with its own source of power. This luxury camping site leaves little to the imagination in terms of on-site activities. Table tennis, tennis and swimming in a supervised aquatic centre are a few of the options that families can choose from. For the golf fanatic, there is a full-sized course located 40 kilometres away. It should always be mentioned that the location of this luxury camping resort enables visitors to swim in the sea. Or, they can simply venture down to the beach and embrace the warm rays of the sun. Children's entertainment is also provided at no extra charge. Many guests will choose to venture out and about during their camping holiday. This is a great idea, for Parco delle Piscine is found within one of the most stunning regions of Italy. A nearby mountain range provides excellent photo opportunities and it should always be mentioned that the surrounding villages are able to display an unforgettable example of true Italian culture. Cuisine and Bars There is a restaurant located within this luxury camping site. Its quaint atmosphere is punctuated by a kaleidoscope of traditional Italian culinary delicacies. As the region of Siena is known for its rich melange of Mediterranean and continental dishes, guests should never miss an opportunity to dine here. A bar found within this eatery will serve up a fresh glass of red wine, a cold beer or a sparkling cocktail with a sense of Italian hospitality.Shopping and More Although campers can choose to visit the local towns for souvenirs, there is nonetheless a grocery store found inside of this holiday camping site. While this is more of a snack food outlet than a fully equipped supermarket, basic items such as toiletries, soft drinks, newspapers and tobacco products are offered during the height of the tourist season. 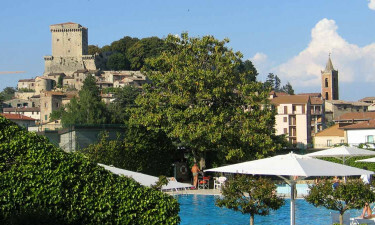 To find out more of the possibilities to be discovered at Parco delle Piscine, it is a good idea to contact LUX-camp for additional assistance.